* Teams of 2 or 3 members are allowed. ** NOT for School Relay ! 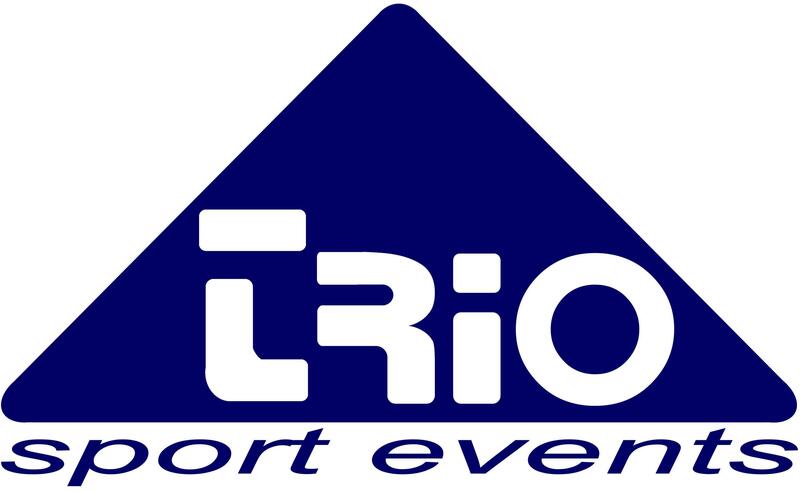 School Relay teams HAVE to register with TRIO Sport Events directly. Relays of two or three members are allowed. $5 administration fee will be added to late fee amount. Junior Triathlon (8-16 years old) : @ 8:00 A.M. Challenge (S=600m, B=30k, R=9k) : @ 8:50 A.M.
Duathlon : @ 9:00 A.M.
Triathlon - Short Course (S=300m, B=15k, R=4.5k) : @ 9:10 A.M. Adult Relay (S=300m, B=15k, R=4.5k) : @ 9:10 A.M. Junior Relay : @ 9:10 A.M. Fill out your information on the registration form. Make sure to include your proper email address! Use your credit card to pay your registration fee! Transactions processed securely. You will receive a confirmation Email, outlining your application and payment details. Check the on-line confirmation list above. All entries are non-refundable and non-transferable. Entry fee does not include processing fee . Remember to check back regularly for updates on race information! If you have questions or comments, please contact your Race Director. Many of our events are affiliated with a charity. Supporting a charity has never been easier! It's Simple! If you are registering for an event that is associated with a Charity there will be a Donations tab on the top of the race page. All you need to do is go to the Donations tab and select Raise funds to set up your fundraising page. Once you set up a new Fundraising account or login with your existing profile you are ready to solicit your friends and family members to support you! All the resources you need to set your donation goals, solicit donation, and track funds are on your donations dashboard. The Athlete Dashboard is a new feature when you set up a member login and password and its Free. The Athlete Dashboard allows you to view everything related to your events on one page; race registration information on all your events, results tracking for all your events, notice of photos for your events and charitable fundraising tracking. Check back for Clinics near you.